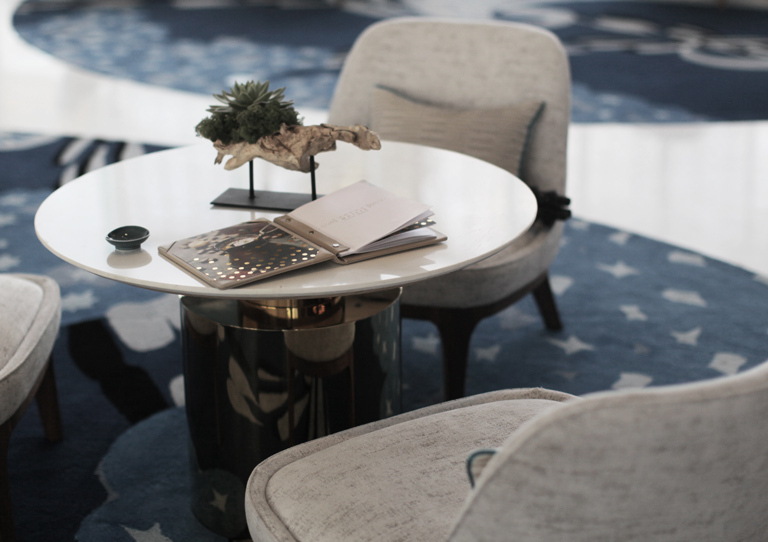 Working with Jumeirah, we developed brands for the five dining experiences within their latest Abu Dhabi hotel offering – Saadiyat Beach Resort. 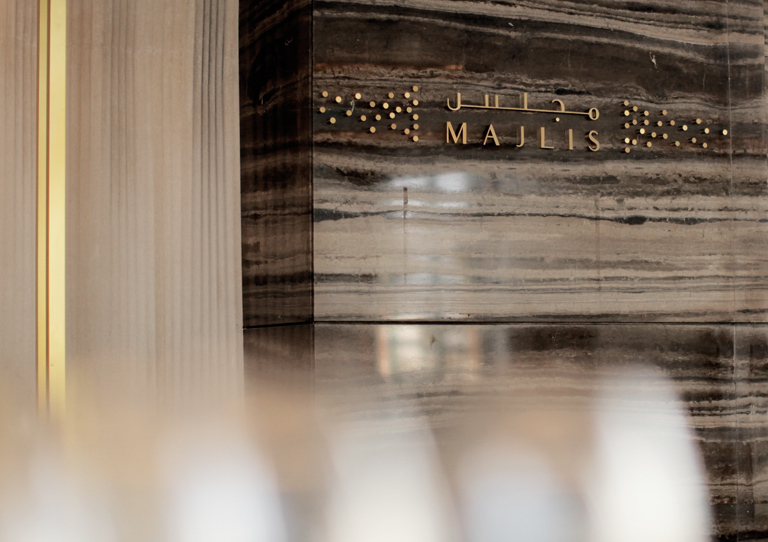 Al Majlis, the upscale lobby lounge offers guests a place to meet, unwind and sample a variety of coffees, teas and pastries. In developing the name and brand identity for the venue, we wanted to ensure that the brand was in line with the café’s core offering – a place where people can meet, socialize and where guests can take the time to sample a number of smaller cakes, pastries and starters. 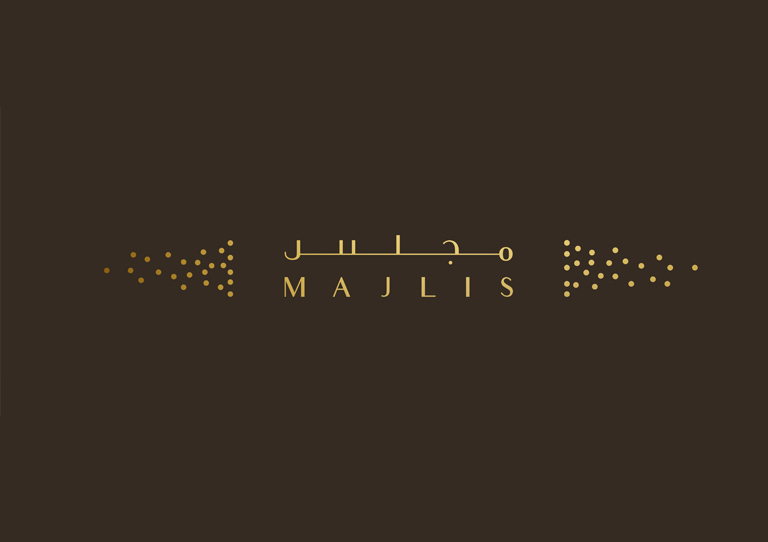 At the same time, we wanted the name to reflect the regional, Arabic heritage surrounding where much of the coffees, teas and desserts are sourced from. Menus – rich, hardcover leather-bound volumes with gold trim and copper screws, were designed to not only reflect and enhance the restaurant experience, but also to allow for quick and easy amendments in the future. 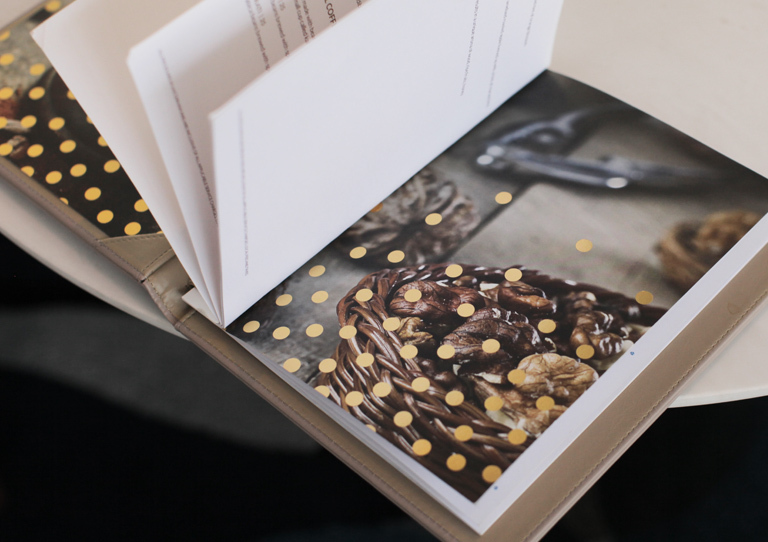 Inside the menu, gold foiling was then applied over full color images to further enhance the richness and authenticity of the experience. 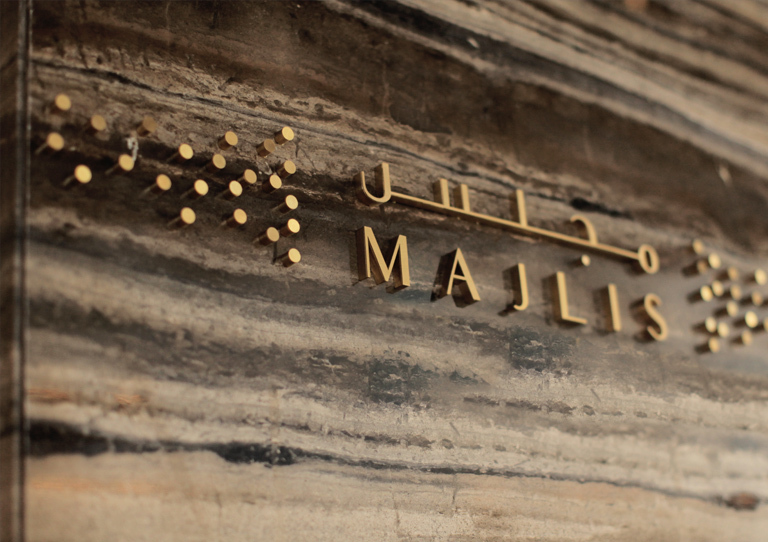 Working with the team at Jumeirah, we created a full suite of restaurant brand applications for Mare Mare – from menu design to coasters and napkins – finally compiling the project in a neatly documented brand guidelines document.